Just back from summertime Australia, February 2-11, where I met two delightful authors of books for young readers: world-traveler Patricia Bernard, dining with my husband and me as we looked out over Sydney harbor, shared her latest picture book, The Lost Tail. It is set in Papua, New Guinea, and vividly imagines the adventures of a group of Bundi boys representing their tribe at the annual celebration of Papua New Guinea’s independence , the Goroka Show. Tricia Oktober is the brightly-colored book’s illustrator. 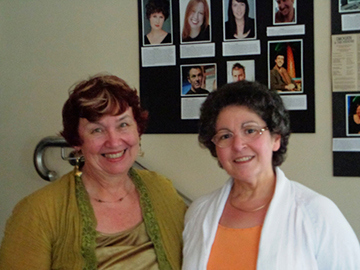 I visited with Wendy Blaxland at the Marian Street Children’s Theater, a family enterprise in Sydney begun by her mother and now helmed by playwright/producer Blaxland. She described her upcoming venture: a play based on the settlers’ epic journey across Australia’s Blue Mountains. One of the three explorers who led this expedition was her ancestor, Gregory Blaxland! Wendy is a veteran author of fiction and non-fiction for the educational market. I came away with a volume in her globe-spanning “I Can Cook!” series for elementary-aged readers. My souvenir of choice—the charming and thoughtful I Can Cook! American Food. Since I met these “Down Under” colleagues just before the Chinese New Year, I was particularly tickled to share my own latest book, Ancient China. All in all, an auspicious beginning to this Year of the Snake.